This site exists to help you obtain a Divorce certificate (Decree Absolute) as quickly and as easily as possible. Unable to find your decree absolute certificate and wish to obtain a copy? We supply official replacement Decree Absolutes for UK marriage dissolutions. Also known as Divorce Certificates, a Decree Absolute is the final step in formalising the end of a marriage. names. The replacement decree absolute will normally include Man's full name, woman's full name and date of marriage and divorce. 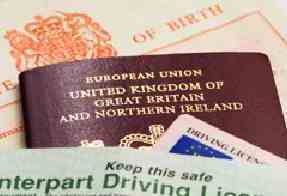 UK Official Records offers a secure online ordering service for official uk decree absolutes issued in England and Wales, Scotland, Northern Ireland. We provide official Decree Divorce certificates, we are here to help. Our team will conduct a search to obtain an official Decree Absolute certificate to confirm a divorce has taken place or produce a nil result certificate to confirm no divorce has taken place in England and Wales, Scotland or Northern Irelands. If you cannot remember the exact dates you can give an approximate year of both marriage and divorce. Decree, judicial determination of the rights and obligations of the parties to a civil action. Judgments are generally classified as final. Absolute, term used to denote whatever is in no way dependent on or limited by anything else. Thus, in ethics an absolute value is one that is good. Final decree is the concluding judgment issued by a court at the end of the legal procedure, finalizing its decision. Final decree is issued by a court when intermediate or temporary orders are issued by them during the hearing. Eg. interlocutory decrees of divorce are issued to give a chance for reconciliation, then a final decree is issued in the divorce petition. Replacement decree absolute or annulment certificates may be obtained from UK Official Records. We can issue an apostille on Decree Absolute from all United Kingdom countries or Ireland. Decree Absolute from England, Scotland, Wales and Northern Ireland, Republic of Ireland are all accepted. In the UK a marriage is dissolved when the court issues a Decree Absolute. This normally follows the issue of a decree nisi. The Decree Absolute is the final document that means the marriage is legaly at an end. Once the Decree Absolute has been issued the previously married couple can now legally re-marry. Divorce documents are often legalised by apostille to prove that a marriage is now over in another country. A woman may wish to revert to her maiden name. You may also be requested to get an apostille on a Decree Absolute if you intend to marry again in a country outside the UK.